Navigating the hundreds chart is crucial to a child’s early education. It helps build their number sense and helps them begin to add and subtract. This 8 page file gives you great center activities! 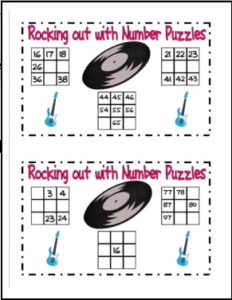 Don’t forget to also download Gearing Up with Number Grids for free! ← Free Lesson on Allegory and Symbolism Analysis in Poetry is ready to teach (NO PREP).